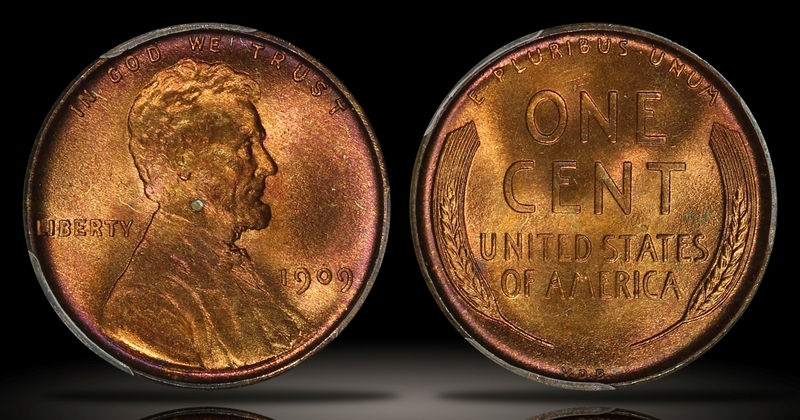 The 1909 VDB Lincoln Cent was the first Lincoln Cent issued in the series which has now lasted over 100 years. The 1909 VDB is also a one-year type coin as it was the only year the designer's initials were located on the reverse of the coin. After only a couple of weeks of production, Brenner's initials were removed from the reverse of the coin, creating this highly popular variety. 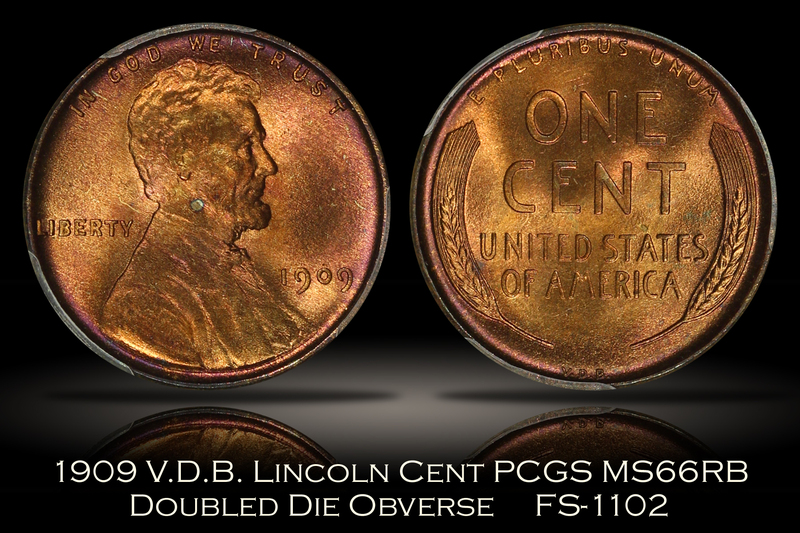 Surprisingly, during the short run of production of 1909 VDB Lincoln Cents, two different doubled die obverse varieties were produced. The second of which, designated as FS-1102 is said to be more rare than the FS-1101, though it is not as expensive as the more collected FS-1101 which shows more extreme doubling. The doubling on the obverse of the FS-1102 can be seen with an extra thickness on the first 9 in 1909 as well as in the letters of LIBERTY, particularly in the B and R. Other diagnostics of the FS-1102 include die clashing under Lincoln's chin and under the C of CENT on the reverse. 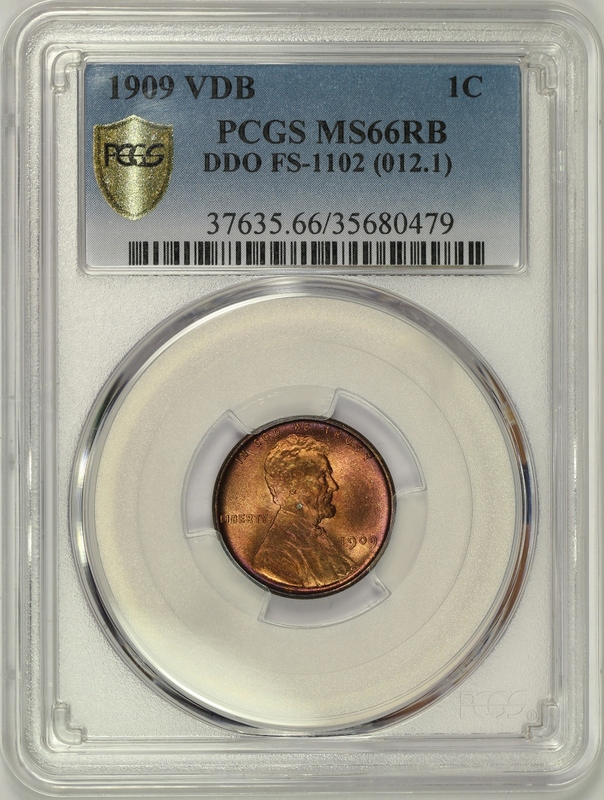 This example of the 1909 VDB Lincoln Cent Doubled Die Obverse FS-1102 (Die 2) has been graded MS66RB by PCGS and is encapsulated in one of the newer-style edge-view holders. A TrueView photo was taken by PCGS which captures the beauty of this coin in the best light. The FS-1102 DDO variety has been attributed by PCGS on the label as well. The coin has wonderful eye appeal with strong original luster and shows the doubled die obverse variety very well. The color is mostly red with some deepening of the color to a vibrant magenta along the rim. A small area of toning near the center of the obverse with green and aqua color is also present. Only a couple of minor marks are present on a very close look. 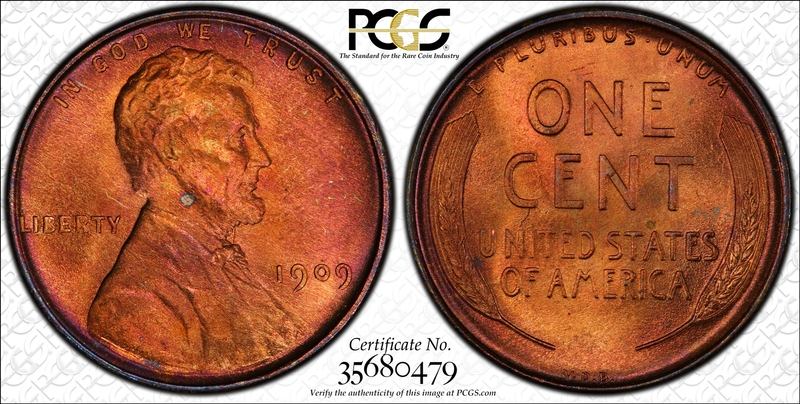 Only two (2) examples of this variety have been certified at the MS66RB grade by PCGS with only a single MS67RB coin grading higher in this color designation. 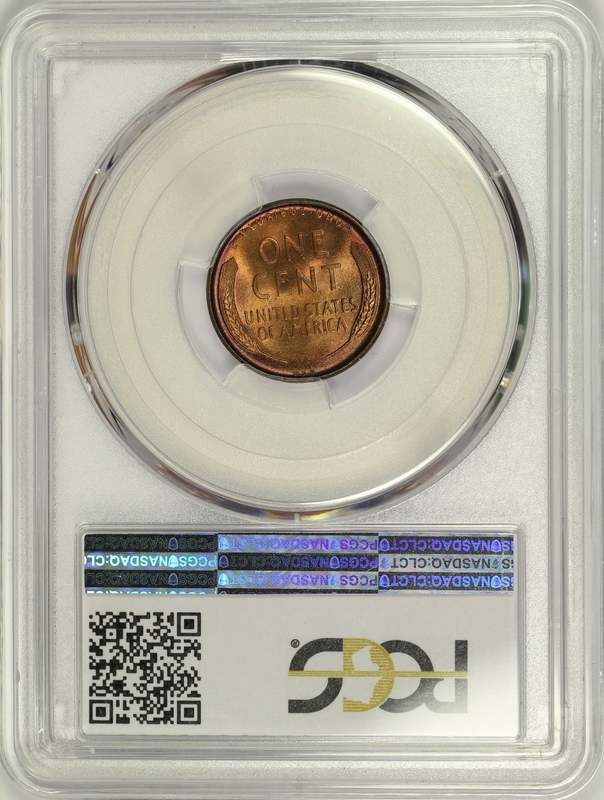 A beautiful high grade colorfully toned example of this popular first-year Lincoln Cent variety.